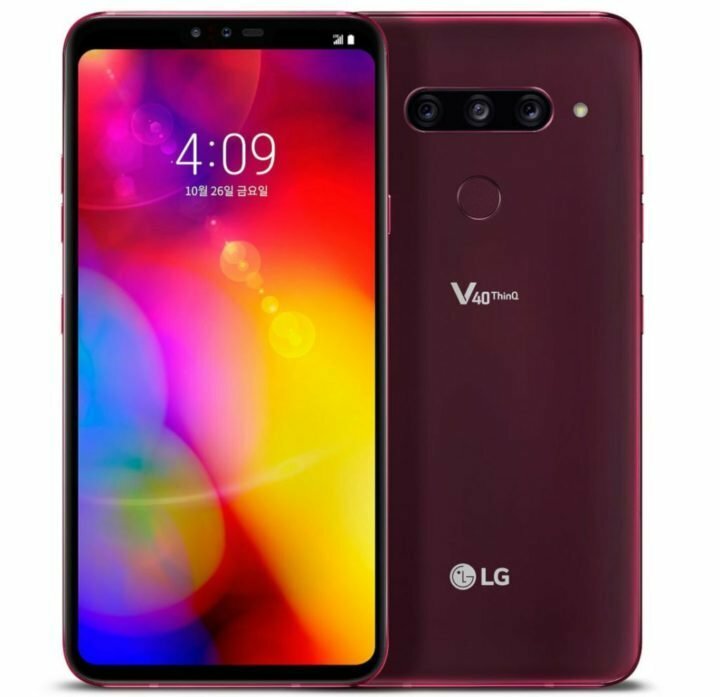 Finally, LG has just announced its flagship V40 ThinQ with penta camera setup. It has a 6.4-inch FullVision OLED display with bottom bezel that is 1.6mm thinner than the predecessor. The main highlight of the smartphone is its cameras. It has triple rear cameras, the first 16-megapixel sensor with 107-degree super wide-angle, the middle 12-megapixel sensor, with standard angles and the third 12-megapixel telephoto sensor, with 2x optical zoom (or 3.2x the zoom of the wide-angle lens). The Triple Shot feature stitches together the images captured with each of the three lenses into a short video file for easy sharing. On the front there is a 5MP wide-angle lens and 8MP standard camera for bokeh effect with an on-screen slider to adjust the amount of background blur. It has Dual PDAF (Phase Detection Auto Focus) for automatic focusing that is 50% faster, advanced HDR feature analyzes and determines the right exposure settings to create perfectly lit shots, AI Auto White Balance (AI AWB), AI Shutter selects the right shutter speed, especially useful when trying to capture fast-moving subjects, Cine Shot, 3D Light Effect, Makeup Pro, Custom Backdrop, My Avatar and AR Emoji. Luckily, the device still has 3.5mm audio jack with 32-bit Hi-Fi Quad DAC and Boombox Speaker that was introduced in the G7 ThinQ. It uses Silky Blast process that etches the tempered glass back with microscopic pits to create a smoother matte finish so it is not slippery when holding and is also resistant to fingerprints and stains. It has MIL-STD 810G military-grade durability and is IP68 rated for dust and water resistance. It has a fingerprint sensor on the back and packs a 3300mAh battery with support for fast charging and wireless charging. 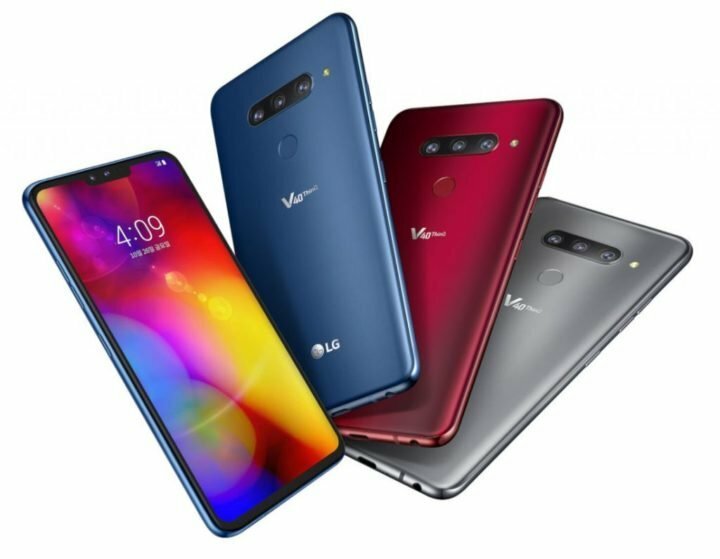 The LG V40 ThinQ comes in New Aurora Black, New Platinum Gray, New Moroccan Blue and Carmine Red colors. It is available from Verizon USA starting at $40.83 a month for 24 months or $979.99 off-contract. It less than a week to the launch of LG V40 ThinQ smartphone. Lot has been said concerning the device. But now that official teasers are already creeping out of LG factory, let see how much we can gather about the device before it launch. 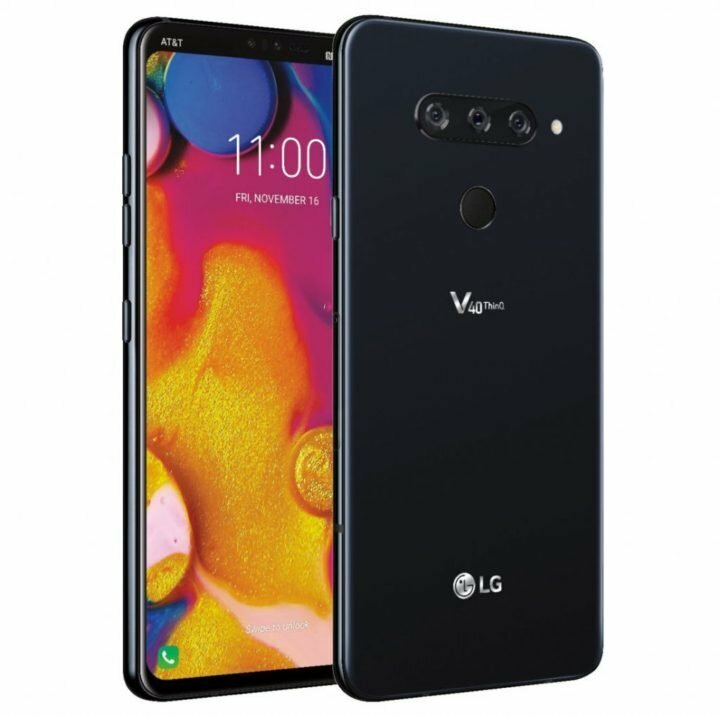 Earlier this month LG announced that it will introduce its flagship V40 ThinQ smartphone on October 3rd, which is some days from today. If rumors are to be true, then the LG V40 ThinQ will bang a massive 6.4-inch (3120 x 1440 pixels) 19.5:9 FullVision OLED Display with 109% DCI-P3 color gamut, covered by the latest Corning Gorilla Glass 5. Although we couldn’t even dare to expect less, but it good to see that the device is powered by the already tested and trusted Qualcomm Snapdragon 845 Mobile processor with Adreno 630 GPU. Sadly, we’ve not marked the presence of 8GB RAM, but 6GB RAM + 64GB or 128GB internal storage is present, harnessing the fluid of Android 9.0 (Pie) underneath LG User Interface. The most interesting story lies in the camera department. 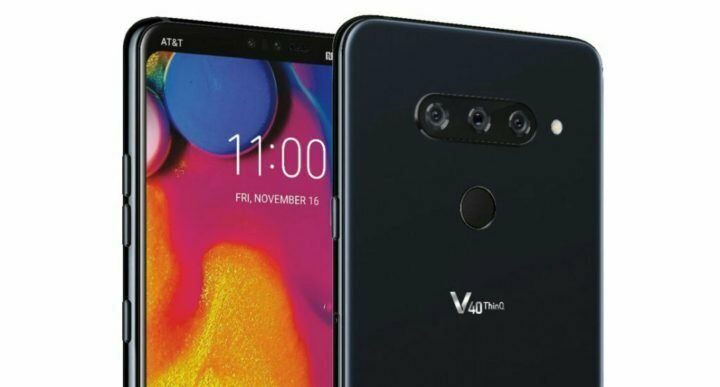 According to what we’ve gathered, LG V40 ThinQ, will be the first smartphone to bundle 3 camera sensors, 5 actually, but the additional 2 sensors are kept up-front. So turn to the back and you’ll get a 12-megapixel rear camera with f/1.5 aperture, 1.4µm pixel size, the second 16-Megapixel camera with f/1.9 aperture, 1.0µm pixel size, and the third 12-megapixel camera with f/2.4 aperture, 1.0µm pixel size, all assisted by a Dual LED flash. The other extra 2 sensors are kept upfront, which includes an 8-megapixel main sensor, combined with a secondary 5MP camera sensor for maximum Artificial Intelligency features. So far, everything about the LG flagship V40 ThinQ will be trendy, except for the absence of an on-screen fingerprint scanner. Anyway, you are still getting the traditional rear placed fingerprint sensor. Interestingly, other bells and hills of connectivity features are duly registered, including NFC, and of course, the LG V40 will be fully water and dust certified. What is more, you are also getting your traditional 3.5mm audio jack as well as USB Type-C. The event starts at 5PM on October 3rd (2:30 AM IST on October 4th) in NYC and on October 4th at 10AM in Korea. We should know the price when it goes official next week.